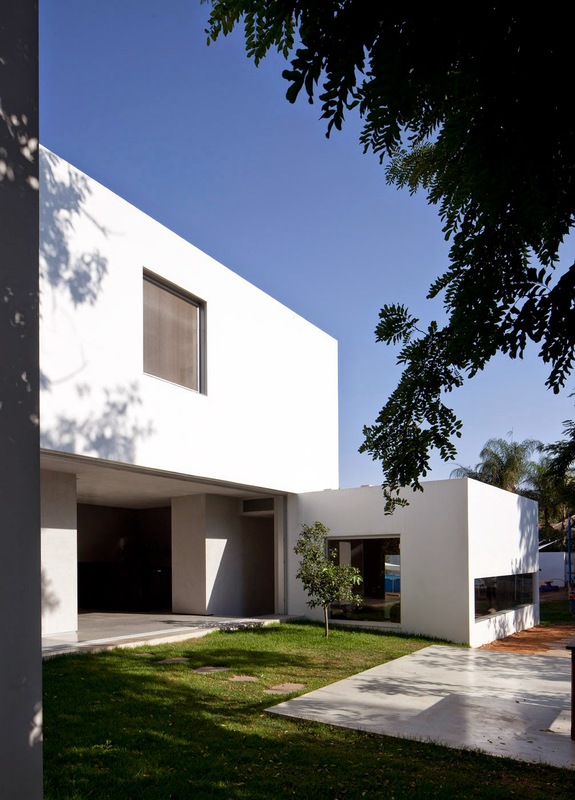 Tel Aviv based Paritzki & Liani Architects designed C/G house in Hod Hasharon, Israel, a minimalist composition of volumes of various heights that focus on different views of the landscape. 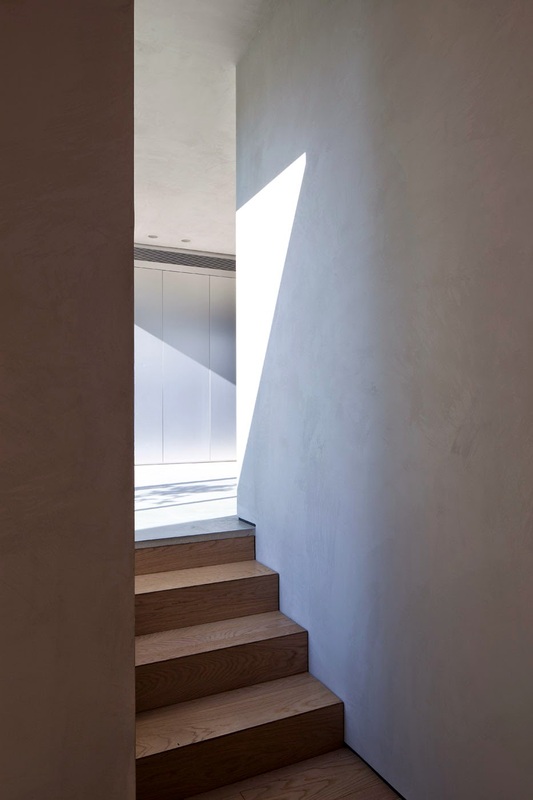 The principal idea was that of a "borrowed landscape" which hides from the clients' view the disturbing elements of new buildings thereby maintaining the principle of introspection. 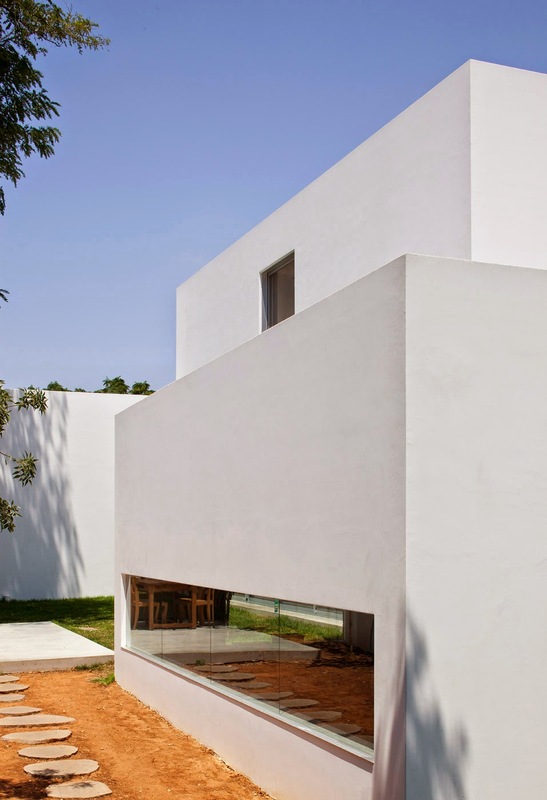 The three volumes/pavilions have different heights and functions and are arranged like a checker-board; the children's volume and that of the living-area support the household volume. The various heights of each part allow different views of the landscape. 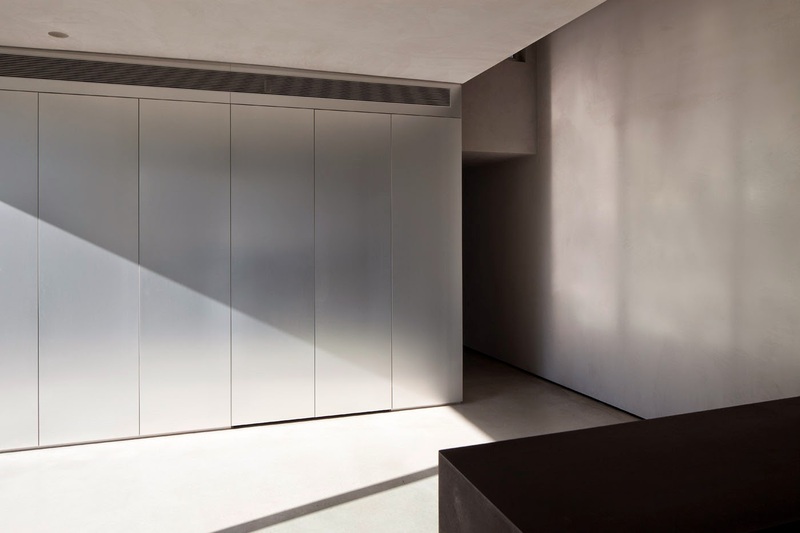 The highest volume placed centrally and on two levels, emanates from the long solid property wall. A shaft of light underlines its massiveness. 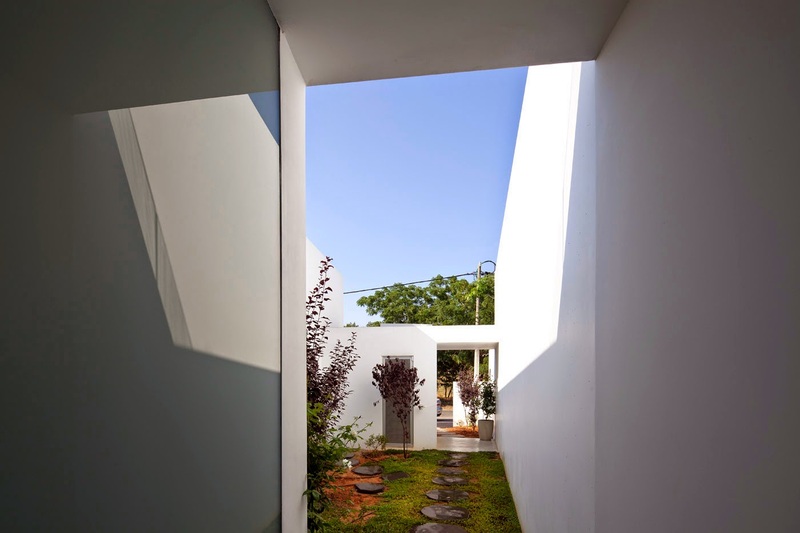 Each volume is marked by an independent courtyard garden. 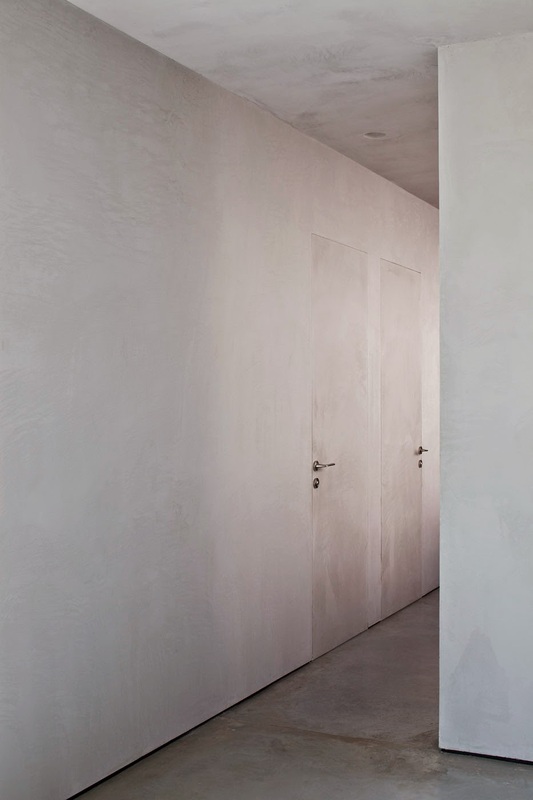 The basic principles of nature and the almost ritual itineraries define the conditions of light and space. The house is approached via a front garden hidden from the road. From the outside only a wall can be seen. 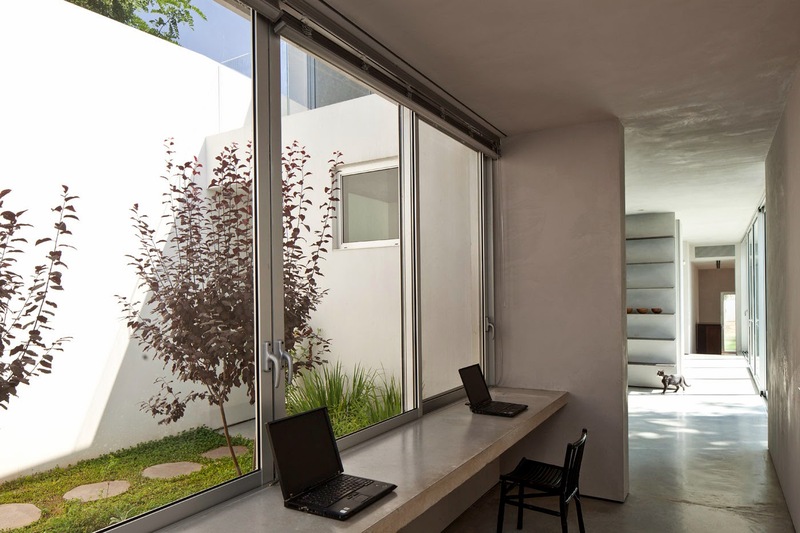 This has a narrow sotto portego which leads to the entrance courtyard which is overlooked by the children's study area. The courtyard/copse leads to the front door. The central volume, the highest of the three, is articulated by sequences of both volumetric and spiritual internal views. Perception of them is highlighted by unexpected views that reveal visual connections and the external green areas. 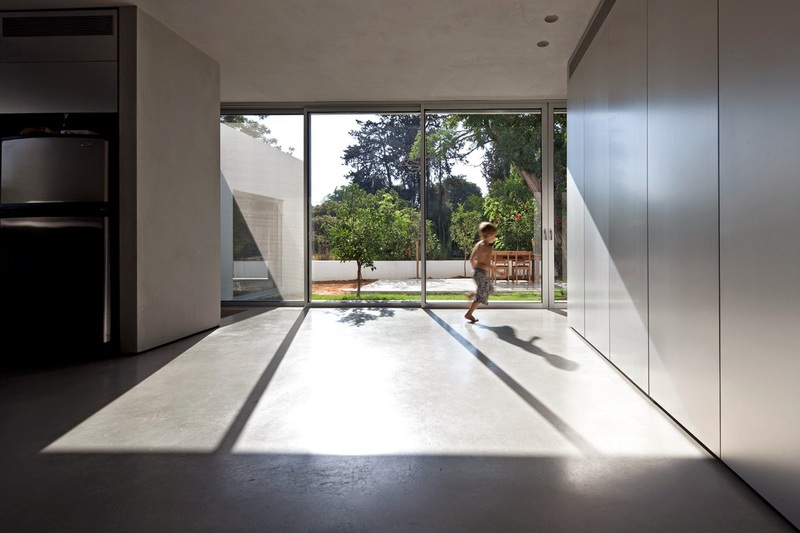 The flow between the interior and the external gardens is underlined by the choice of reglit for the façade of the children's volume and the lower living area volume. This permits the play of the light and shade of the winter sun, reflects the changes of weather, and splits the depths of voids.